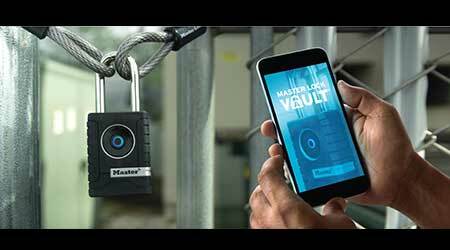 Master Lock Vault Enterprise integrates a web platform, mobile app, and Master Lock’s Bluetooth-enabled security devices, including Bluetooth padlocks and lock boxes. Through the web interface, administrators can grant and manage access for as many locks and as many users based on time, date, or group as needed. Authorized personnel can then access these locks and lock boxes via the mobile app on their smartphones.